January 2019 – Boston Light & Sound’s Chapin Cutler featured on Chronicle: Cutler, co-founder of Boston Light & Sound (BL&S), talks about the company’s passion for quality film presentation, and their experience restoring 120 70mm projectors for Quentin Tarantino’s nationwide premieres of The Hateful Eight. View the “Turning Back Time” segment on WCVB ABC 5's Chronicle. October 2018 – Boston Light & Sound Welcomes Lori Harris to Business Development Team: Boston Light & Sound (BL&S), a company known for delivering first-class audiovisual experiences for major Hollywood studios and film festivals for more than 40 years, is proud to welcome Lori Harris to its business development team. 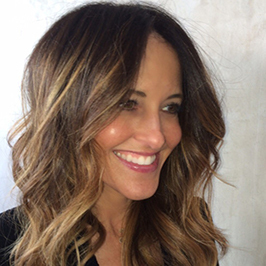 Lori will be instrumental in establishing new business relationships and reinforcing existing ones, primarily in the California film production industry. and clients. She has shown a real talent for understanding her client’s needs,” said Boston Light & Sound President Chapin Cutler. “In conjunction with our audiovisual capabilities and services, we know that Lori will be an asset.” Get the full press release from Boston Light & Sound. April 2018 – “The Sound of the Colosseum: QSC brings Dolby Atmos to the entire Caesars Palace theatre”: For years, Boston Light & Sound has helped create the world’s largest annual motion picture exhibition convention at CinemaCon in Las Vegas. “Converting the Colosseum at Caesars Palace into ‘the world’s largest movie theatre’ has always been a big job; this year, according to Mark Mayfield, director of global cinema marketing at QSC, the job was even more ‘colossal.’” Learn more in the full article by Bob Gibbons of FilmJournal.com. 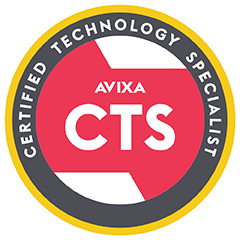 CTS certification from AVIXA denotes audiovisual professionals who have demonstrated extensive knowledge of the technology used in audio, video and display systems, and a competence, dedication, and commitment to their profession. 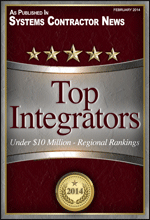 Griffin joins numerous other BL&S technical consultants with the certification. February 2018 – Boston Light & Sound (BL&S) Celebrates Ruby Anniversary: Movie and tech aficionados BL&S have spent 40 years bringing exceptional cinematic experiences to audiences worldwide – and they’re just getting started. Always up for a challenge, the BL&S team delivers world premiere quality presentation and stellar sound nearly anywhere you can imagine. 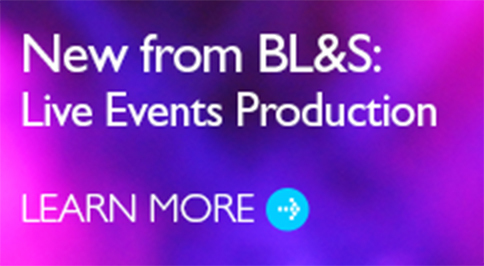 Bringing together digital cinema, film, audio, and live event expertise, BL&S is trusted for their creativity and their commitment to their craft. The team is known for ingenuity, and is sought after for some of the most awe-inspiring projects, from screening films in improbable locations around the world to installing acoustics systems for world-class theatres. If the equipment doesn’t exist to get the job done, the team will often custom build it. BL&S designs and installs equipment for some of the world’s most notable film festivals and movie premieres. They played a key role in providing equipment and technical expertise for the world’s largest temporary cinema at CinemaCon, the Boston premiere of the film Stronger, and the world premiere of Dunkirk in 70mm at more than 100 theatres across the country. BL&S helps create immersive experiences, with installations of the presentation systems at Boston’s Institute of Contemporary Art, the state-of-the art digital cinema system at the Harvard Art Museums, as well as the sound system at historic Fenway Park. November 2017 – “Renovated Dundee Theater opens with ribbon-cutting ceremony”: The nearly 100-year-old Dundee Theatre reopened this month in Omaha, Nebraska, after a four-year closure for comprehensive renovations. “The original theater auditorium now seats 300 and features all new projection and sound equipment, installed by industry leader Boston Light & Sound. Classic, sloped-floor cinema seating (familiar Dundee blue! ); 17x40 ft. screen; 35mm reel-to-reel, DCP, DVD and streaming projection capabilities.” Learn more in the full article by Lindsey Theis of 3 News Now (KMTV Omaha). November 2017 – BL&S’s Chapin Cutler on the art of 70mm film featured in “Dying arts can be saved — but is it worth it?”: “Is the way the movie is projected incidental to its artistry, or essential to it? ... (I)s saving the ‘2001’ experience, in all its original glory, really worth the effort it would require?” Find out what theatres, projectionists and industry specialists including BL&S’s Chapin Cutler have to say on the challenges and rewards of preserving 70mm film projection and skills. Read the full article by Alan Wirzbicki of The Boston Globe. 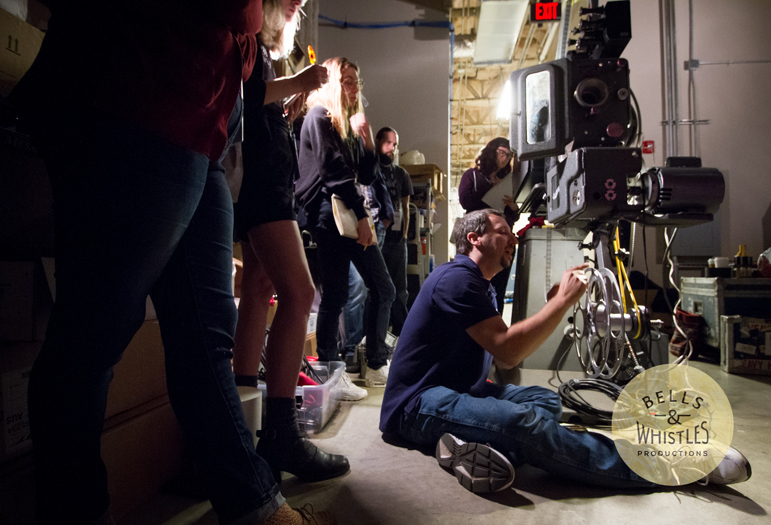 October 2017 – 35mm projection workshop hosted by AMIA and BL&S – Oct. 30-Nov. 1 at BL&S: “The Association of Moving Image Archivists (AMIA) and Boston Light & Sound, in partnership with Martin Scorsese’s nonprofit organization The Film Foundation, will host a three-day, intermediate-level film projection workshop offering expert-led training in the proper handling and presentation of 35mm film in theatres. The hands-on educational event will take place Oct. 30 to Nov. 1 at Boston Light & Sound in Boston.” Read the full article at FilmJournal.com For more information, and to register, visit www.projectionworkshop.com. October 2017 – Q&A with ‘Dunkirk’ 70mm projectionist, Mark Davenport: Releasing the gripping WWII film ‘Dunkirk’ in 70mm took more than sourcing, refurbishing, and installing projection equipment. It also involved hiring projectionists to run the film at more than 125 theatres across the country and internationally. We sat down with one of the projectionists, Mark Davenport, to hear about his experience working on the ‘Dunkirk’ film premiere with BL&S. Read the full interview from BL&S. Read more about BL&S’s role in the 70mm screenings of ‘Dunkirk’. September 2017 – ‘Stronger’ premiere at Spaulding Rehab, Boston: View a timelapse video of BL&S’s set up for this Boston premiere in a highly unusual location. Inspired by the true story of Jeff Bauman – one Boston Marathon bombing survivor – the film starring Jake Gyllenhaal opens in Boston on September 22nd. WBZ-TV's Lisa Hughes reports. August 2017 – Behind-the-scenes DVD Extra of ‘Dunkirk’ on 70mm film: “70mm is the most incredible way to tell a large-scale story,” says ‘Dunkirk’ director/writer/producer Christopher Nolan. Watch footage of the movie and find out how the 70mm film moves through the print make-up, from processing to editing to the theatre. August 2017 – BL&S’s Chapin Cutler, ‘Dunkirk’ featured in “Dolby, 70 Millimeter or Imax? Our Critic Helps You Choose”: Find out why – and where – to enjoy these different screening formats this summer. Read the full article by Ben Kenigsberg of The New York Times. July 2017 – BL&S’s work for ‘Dunkirk’ on 70mm featured in “What's The Big Deal With Dunkirk on 70mm Film?” radio segment: “‘Technically speaking it’s the best way to see a motion picture that’s yet been invented,’ said David Kornfeld, head projectionist for the Somerville Theatre, who has worked with 70mm film for four decades.” “‘What I see represents thousands of man hours,’ said technician Rob Cejka, as he showed me the insides of a working projector at Boston Light & Sound. ‘Love and passion go into these to be able to bring them back from the dead to be able to carry on for another generation.’” Listen to or read the full story by Edgar B. Herwick III of WGBH News’s The Curiosity Desk. July 2017 – BL&S, ‘Dunkirk,’ build on Hateful Eight success – “‘Dunkirk’ and the 70mm Experience: Why The Unlikely Comeback of the Big-Screen Format Has Hollywood’s Attention: How Christopher Nolan’s ‘Dunkirk’ is building upon what Tarantino started with the Hateful Eight and why it's important.” “BL&S’s co-founder Chapin Cutler told IndieWire that without the resources and energy put into the Hateful Eight roadshow it’s almost certain 70mm projection equipment would have continued its rapid path to extinction. But like other film lovers, Cutler thinks the effort was well worth it.” Read the full article by Chris O’Falt of IndieWire.com. July 2017 – “‘Dunkirk’ Could Launch a 70mm Film Presentation Renaissance”: “‘There’s a lot of excitement based on how well Hateful Eight did,’ said Chapin Cutler, co-founder and principal of Boston Light & Sound, which is back on 70mm projection duty for Dunkirk. ‘We’ve been talking about this with Warner Bros. for the better part of a year. We got serious in January. We were asked to replicate what we did for Hateful Eight with some slight changes (since many of the projectors are still at the sites used for Tarantino’s release).’” Read the full article by Carolyn Giardina from The Hollywood Reporter. July 2017 – BL&S featured in “How The Coolidge Corner Theatre Brings Its Mission To The Greenway”: “‘Boston Light & Sound donated the equipment to make the screenings happen. They knew that what would set these shows apart from all of the other outdoor summer films would be the fact that we're actually running film from the back of a truck,’” says the Coolidge Corner Theatre Foundation’s program manager, Mark Anastasio. Read more about BL&S’s part in the free outdoor – 35mm – screenings and how The Coolidge at the Greenway programming choices reflect the series’ unique setting: Full article by Sean Burns from The ARTery. Get details and schedule for The Coolidge at the Greenway. All films will be screened in 35mm. July 2017 – BL&S 70mm expertise tapped again – “Warner Bros. Prepping ‘Dunkirk’ for One of the Largest 70mm Releases of Last 25 Years”: “Current plans include roughly 100 standard 70mm installations plus 31 70mm Imax theaters. Christopher Nolan’s commitment to the film format will be on full display with the release of his World War II drama Dunkirk, whose July 21 release is expected to include roughly 100 70mm theater installations plus 31 Imax 70mm theaters — which would make it among the widest 70mm releases in the last quarter century.” Read the full article by Carolyn Giardina from The Hollywood Reporter. February 2017 – BL&S, Strong/MDI installation at Nashville’s Belcourt Theatre: “Belcourt Theatre, one of Nashville’s most vibrant arts organizations, needed large, motorized systems and framed projection screens to replace the screens in two auditoriums.” Boston Light & Sound teamed up with Strong/MDI to install “customized, cost-effective solutions.” Read the full case study from Strong/MDI. 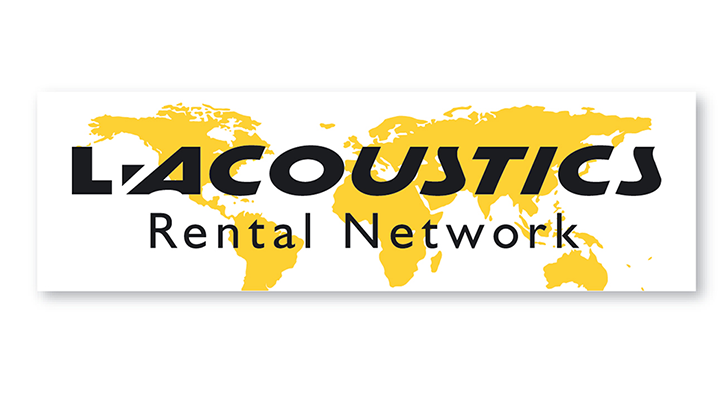 February 2017 – Boston Light & Sound has been selected as a “Certified Rental Network Agent” by L’Acoustics: “As well as having provided sound for all of the usual major events since the advent of the WST® line sources in 1992, today L-Acoustics®’ systems add their sonic signature to numerous installations in theatres, convention centers, sport arenas, houses of worship and amusement parks. ... The Winter Olympic Games ceremonies in Sochi featured the new K2 line source system.” Learn more about L'Acoustics audio systems. Read the official version of the Final Rule, Press Release and Q&A from ADA.gov. 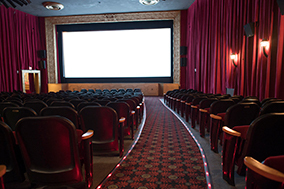 View Questions and Answers about the Department of Justice’s Final Rule Under Title III of the ADA Requiring Movie Theaters to Provide Closed Movie Captioning and Audio Description from ADA.gov. NOTE: An update is expected to Paragraph 8 of the DOJ's Q&A regarding minimum number of audio description devices required. Please contact BL&S with any questions about equipment needed for compliance. January 2017 – BL&S’s Dan Beedy on PIX 270i Recorders and the Sundance Film Festival: Hear how BL&S helped Sundance switch from HDCAM digital playback format to PIX 270i, what it means for the festival and the industry. Dan Beedy explains one benefit of the change: “We’re finding that people are way, way more likely to provide something (in a format) that we can play back right out of the gate when we’re using the PIX 270i, because it’s following most of the industry standards with its support for FinalCut Pro® and Adobe®.” Read the full story from Sound Devices at VideoDevices.com. October 2016 – Podcast, photos and videos from BL&S presentations at AMIA Projection Workshop: The Association of Moving Image Archivists (AMIA) offered a three-day Projection Workshop in August 2016 for projectionists and staff presenting 35mm film in theaters. As a key sponsor, Boston Light & Sound shared industry expertise during projection and film preservation workshops and a panel discussion featuring BL&S’s Rob Cejka, as well as a special talk by BL&S principal, Chapin Cutler. LISTEN: The Kodakery podcast featuring BL&S’s Rob Cejka, Antonella Bonfante from Canyon Cinema, and Jason Metcalfe from The Alamo Drafthouse. Recorded live at The Alamo Drafthouse. WATCH: Peter Flynn, creator of the documentary The Dying of the Light, presents at the AMIA Projection Workshop. September 2016 – “A Star is Reborn” as Northern Michigan’s Lyric Theatre Reopens: Boston Light & Sound created and installed a state-of-the-art audiovisual system for the “reincarnated” theatre, which reopened a block down the street from the original in July, 2016. Read the full story by Frank Beaver from University of Michigan’s Michigan Today. August 2016 – “‘Jason Bourne’ premieres at Las Vegas’ Colosseum with QSC Sound”: Boston Light & Sound produced the Las Vegas premiere of Universal’s ‘Jason Bourne’ in the 4,000-seat Colosseum, a massive space that requires significant modification for cinema presentations. “Since Universal has relied on projection and sound specialists Boston Light & Sound for over 30 years for major premieres, they were the obvious choice to produce the event for Jason Bourne. And BL&S principal Chapin Cutler had no hesitation about who to recommend for the audio system: QSC.” Read the full story at FilmJournal.com. August 2016 – BL&S partners with AMIA for Projection Workshop: The Association of Moving Image Archivists (AMIA) is offering a three-day Projection Workshop beginning August 22, 2016 for projectionists and staff presenting 35mm film in theaters. Workshop partners include the Alamo Drafthouse, The Film Foundation, Boston Light & Sound and Kodak. Find event details and registration here. July 2016 – BL&S and Coolidge at the Greenway: Boston Light & Sound is proud to be the presenting sponsor of another summer of “The Coolidge at the Greenway.” Screenings will take place at sunset at the Greenway's Wharf District Park (located between Milk and India Streets in Boston). All films will be screened in 35mm. Get details and schedule here. July 2016 – “New Lyric Theatre in Harbor Springs will show first-run movies, classics and more”: Get details about the Lyric’s renovation and reopening in a new location on Main Street, with AV installation by Boston Light & Sound. Read the full story on pg. 62 in Emmet County’s 2016 Imagine Magazine, or view a PDF of the article. July 2016 – “Lyric Theatre under construction in Harbor Springs”: Learn how Boston Light & Sound helped this renovate a former Packard dealership in Michigan prepare for a grand reopening as the theatre on Main Street after being closed since 1981. Read the full story by Jillian Fellows of Petoskey News. July 2016 – BL&S instrumental in Harbor Springs Lyric Theatre’s return: “To remodel the building into a movie theater, Blaser [president of the Harbor Springs Lyric Theatre in Michigan] is taking inspiration from Michael Moore and the people of the Traverse City Film Festival. ‘What Moore did in TC was nothing short of astonishing,’ he said. ‘ It’s amazing what a downtown theater, one that people can walk to, can do.’” Blaser hired Boston Light & Sound as the project’s audiovisual consultants. Read “Lyric Theatre to return” by Kristi Kates of NorthernExpress.com. April 2016 – “‘The Dying of the Light’ is an elegy to the art of film projection”: Ty Burr reviews Peter Flynn’s documentary, The Dying of the Light, which chronicles the supposed fading art of film projection. During the past few years, Flynn spent countless hours interviewing people at BL&S along with many others, including The Hateful Eight team. Burr writes that the film “...Understands the rarity of its own occasion: a chance to talk with and celebrate a breed of artisans before they wink out altogether.” “‘There’s this kind of beautiful lineage of projectionists learning from projectionists learning from projectionists, all the way back to that guy in 1905 who bought his first Powers projector through a catalogue and had to learn from a manual,’” says Jack Theakston of the Capitol Theatre in Rome, NY. Read the full article by Ty Burr of The Boston Globe. 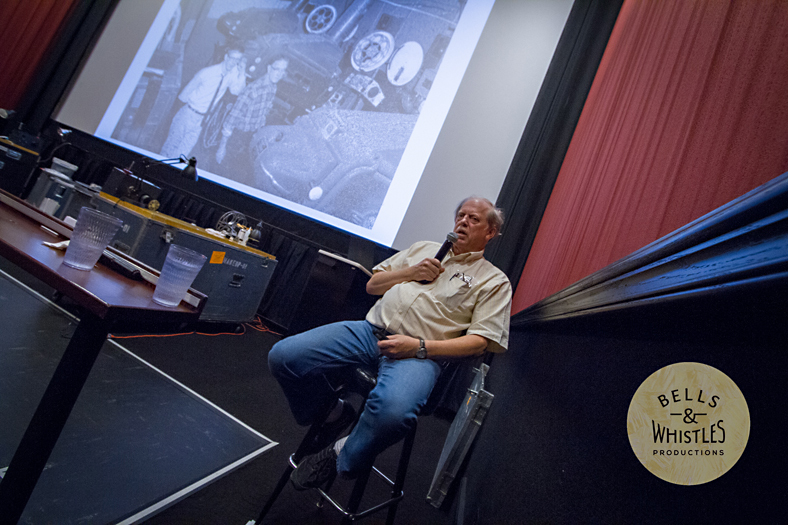 January 2016 – BL&S crew, behind-the-scenes photos in “‘Let There Be 70mm:’ The Real-life Cinematic Saga Behind Quentin Tarantino’s ‘Hateful Eight’ roadshow”: Hear technical details and perspective on the future of 70mm presentations from Chapin Cutler of BL&S, Panavision’s Jim Roudebush, and David Kornfeld, head projectionist at Massachusetts’ Somerville Theatre. See behind-the-scenes photos and read the full story by Peter Weed of MovieMaker.com. January 2016 – “Everything Old Is New Again: Theatres go back to 70mm with ‘Hateful Eight’ roadshow” features BL&S’s Chapin Cutler, reports from theatres: Around North America, theatres screening the 70mm roadshow version of The Hateful Eight sold out showings, extended runs and ultimately staged a “...capital-E Event.” “‘In the second week of the run, the 70mm house was still producing three times the gross that the digital format was,’” said St. Louis area chain Wehrenberg Theatres president Bill Menke. Read the story by Rebecca Pahle of Film Journal. January 2016 – One projectionist’s timelapse view of “The Hateful Eight” roadshow from the booth: Andrew Walker notes, “I was lucky enough to be one of the projectionists to work on the 70mm roadshow for The Hateful Eight and this is what I captured during the 59 showings the film over the course of 15 days. The whole thing was quite an experience and it made me appreciate film all over again. Shot with a Nikon D810 using the Kessler TLS system and a Second Shooter.” See the video by Andrew Walker of 599 Productions. January 2016 – “How Tarantino’s Cinematic Gambit With 70mm Paid Off”: “I did anticipate a degree of greater richness, depth and warmth, but when I gathered up a seat for a crowded weekday showing at the Somerville Theatre, I really wasn’t prepared for the stark scrumptious pop that overwhelmed me in nearly every frame,” notes writer Tom Meeks in his review of Quentin Tarantino’s The Hateful Eight 70mm road show version, screened at the Somerville Theatre, in Somerville, MA. See photos and get the full story by Tom Meeks of 90.9 WBUR’s The ARTery. December 2015 – BL&S Brings Tarantino’s New Western to Theatres in Glorious Ultra Panavision 70mm: When Film Producer Shannon Macintosh approached Boston Light & Sound (BL&S) to provide 70mm film dailies for Quentin Tarantino’s The Hateful Eight, little did they know this would evolve into the largest project they’d ever tackled: Presenting a movie in the grandeur of 70mm film in 100 theatres across North America. Read the full story from BL&S on blsi.com. December 2015 – Find out “What Six Chicago-area theaters had to do to show Tarantino’s ‘Hateful Eight’”: Hear from projectionists at Chicago’s Music Box Theatre and the BL&S team on the nuances of this 70mm experience. Get photos and the full story by Patrick M. O'Connell of The Chicago Tribune. December 2015 – WIRED Magazine’s “How They Put Together ‘Hateful Eight’s’ 70mm Traveling ‘Roadshow’” includes more behind-the-scenes coverage of BL&S’s work to prepare for the film’s 70mm release: Read the story by Mark Yarm of WIRED. December 2015 – “For Tarantino’s Latest, A Boston Company Resurrects Nearly Extinct Film Projectors” features interviews with BL&S’s Chapin Cutler and Larry Shaw: Hear the story by Andrea Shea and Erin Trahan of 90.9 WBUR’s The ARTery below, or read a transcript here. December 2015 – “A road-ready ‘Hateful Eight’” covers BL&S’s months of preparation for the North American 70mm release: Read the article by Loren King of The Boston Globe. December 2015 – “You'll Never Guess How Much Those Massive ‘The Hateful Eight’ 70mm Prints Weigh” with BL&S’s Chapin Cutler: Read the article by Zack Sharf of Indiewire.com. December 2015 – BL&S featured in “How Weinstein Co. Distribution Chief Erik Lomis Rescued 70mm Cinema For Quentin Tarantino’s ‘The Hateful Eight’”: Learn about Weinstein’s plans for the estimated “60-70% of the world’s current supply of 70mm projectors” and how The Hateful Eight helps “remind us that the movie theater experience remains unmatched.” Read the full article by Anthony D'Alessandro of Deadline Hollywood. December 2015 – Go behind-the-scenes with BL&S’s Chapin Cutler in “‘The Hateful Eight’: The boys behind the booth”: Get details about the roadshow and a look at photos of BL&S’s “platter farm” in Valencia, CA, as the team gears up for the North American The Hateful Eight release. Read the full article by David Bordwell of Website on Cinema. December 2015 – BL&S, Communications Design Associates (CDA) team up on sound reinforcement system at Boston University: BL&S provided installation and integration services, and CDA led the design. Boston University selected Anya array columns with a single, center QX loudspeaker for the upgrades. “I can’t say enough about the quality, expertise and timeliness of that crew,” said Joe Patten, associate designer for CDA. “Zeke Zola led the effort and it was absolutely perfect. They are a really impressive group.” Read the full article, “Tsai Performance Center Upgrades With EAW Anya,” at ProSound Web. November 2015 – “Boston Light & Sound Works On Tarantino’s ‘The Hateful Eight’”: Read the story by Jeff Brown of WBZ Channel 4, CBS Boston. November 2015 – BL&S’s “The Hateful Eight” work profiled in The Boston Globe article “Big-screen experience of ‘The Hateful Eight’ built in Boston”: “‘We would like to feel that we’re opening the door to a trend — a trend that revitalizes the movie-going experience,’” BL&S’s Chapin Cutler said. The article outlines BL&S’s critical role in restoring 120 70mm Ultra Panavision projectors for the upcoming premiere of The Hateful Eight. Read the full article by Hiawatha Bray of The Boston Globe. November 2015 – BL&S featured in The New York Times article “Tarantino’s ‘The Hateful Eight’ Resurrects Nearly Obsolete Technology”: “‘The charge that we got from Weinstein was that we needed to be prepared to do 100 screens,’” Chapin Cutler said of BL&S’s massive undertaking to prepare for the December premiere of the much anticipated The Hateful Eight in 70mm Ultra Panavision. Read the full article by Ben Kenigsberg of The New York Times. November 2015 – BL&S employees Dan Beedy and Leigh Downes are now Barco Certified Experts for Digital Cinema Installation, Troubleshooting and Maintenance Laser Projection. Learn more about BL&S certifications and training. September 2015 – “35mm Isn't Dead Yet…” according to Leonard Maltin: Maltin shares nostalgia for 35mm, rekindled after viewing a second-run screening of Jurassic World. BL&S’s work on The Hateful Eight 70mm premiere is mentioned, along with other “signs of life” of film. Read the full article on Leonard Maltin’s blog at Indiewire.com. July 2015 – BL&S screens The Birds for Coolidge Corner Theatre’s Greenway film series in Boston: Learn more about the free screenings here. Read about BL&S’s work for the Coolidge Corner Theatre. June 2015 – BL&S’s work at CinemaCon featured in “Converting the Colosseum” article: As Mitch Neuhauser, managing director of CinemaCon says in this month’s Film Journal article, “Let’s face it, CinemaCon lives or dies by the quality of the theatrical experience that we’re able to deliver in The Colosseum.” BL&S’s Chapin Cutler adds, “In many ways, this is the most complex production that we do over the period of a year. ... Basically, we have to install eight to ten cinemas’ worth of equipment in a booth 26 feet wide, and we have to do it in a day and a half.” Find out how BL&S teams up with equipment manufacturer partners to transform The Colosseum at Caesars Palace in Las Vegas from a world-class live performance venue to a 4,300-seat, festival-quality movie theatre. Read the full article by Mark Mayfield of Film Journal [PDF]. Learn more about BL&S’s work at CinemaCon. April 2015 – BL&S introduces BL&S Portable AV Solutions: Boston Light & Sound (BL&S) has been developing presentation systems and solutions that improve accessibility for more than 40 years. BL&S's Portable AV Presentation System makes it easy to give presentations in spaces that lack built-in presentation capabilities or were designed for other uses. The new BL&S Portable Hearing Assist System gives people who are hard of hearing an opportunity to enhance their listening experience in venues with no sound system in place. Learn more about BL&S Portable AV Solutions. 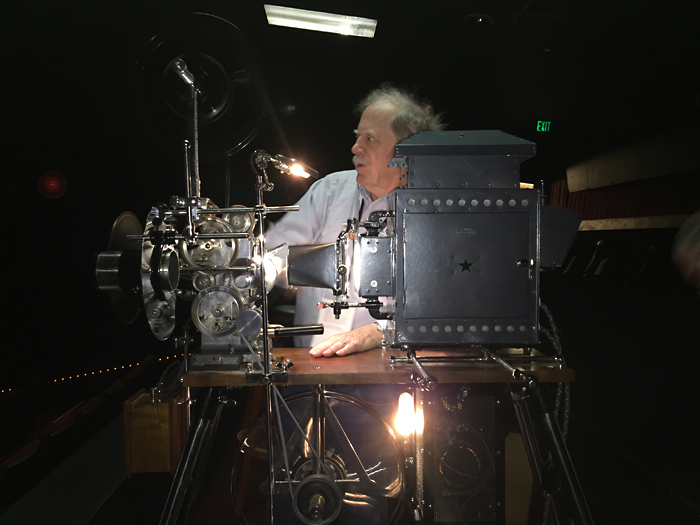 March 2015 – Chapin Cutler of BL&S plays with 106-year-old hand-crank projector at the TCM Classic Film Festival: Projectionist Joe Rinaudo provided a special treat to festivalgoers at this year’s TCM Classic Film Festival – a two-hour special presentation of silent movies called “Return of the Dream Machine: Hand-Cranked Films From 1902-1913.” He also brought the star of the show: his 1909 hand-crank Power’s Model 6 cameragraph motion picture machine. “The thing that was way cool about the early nickelodeon days is that the projectionist was a showman,” said Randy Haberkamp, managing director for programming, education and preservation for the Academy of Motion Picture Arts & Sciences, which presented the program. While BL&S didn’t produce this special event, the company’s role in launching the TCM Classic Film Festival and providing ongoing technical direction gave Chapin Cutler behind-the-scenes access to the projection room, where he had a chance to imagine those nickelodeon days while testing the antique projector. Read more about the event in "TCM Classic Film Festival: Night of the hand-cranked 'Dream Machine'" by Susan King of the LA Times.